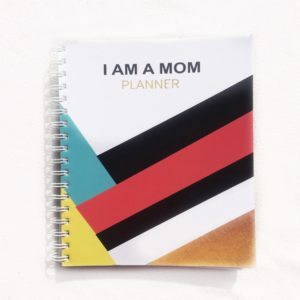 After taking a short break from blogging, I’m back with another review for you guys. 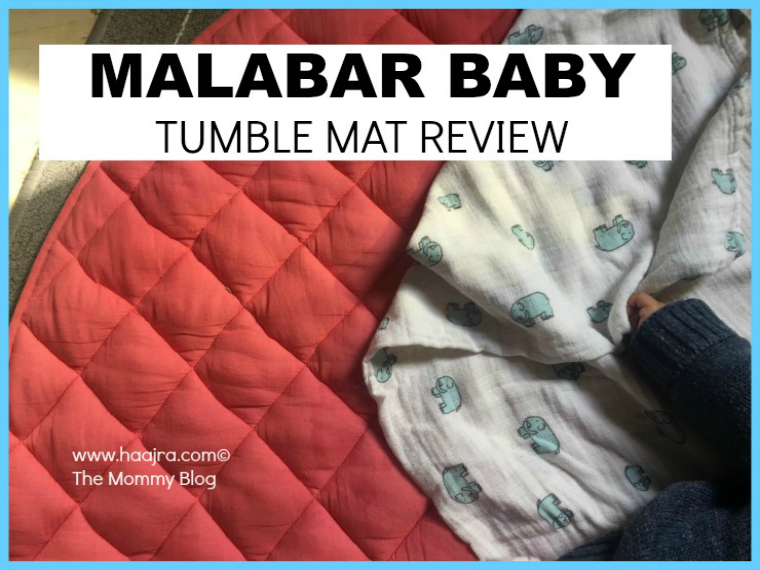 Today I’m going to be doing the Malabar Baby Tumble Mat Review. The moment I unwrapped this mat I was jumping with joy for obvious reasons, its just so plushy and so cozy for a baby who is just a few weeks old. I’m so glad I stumbled upon the Malabar Baby just in time. Yay! The way every single product came individually packed, I was impressed right away. This Malabar Baby Tumble Mat came to us with loads of other products from MalabarBaby. 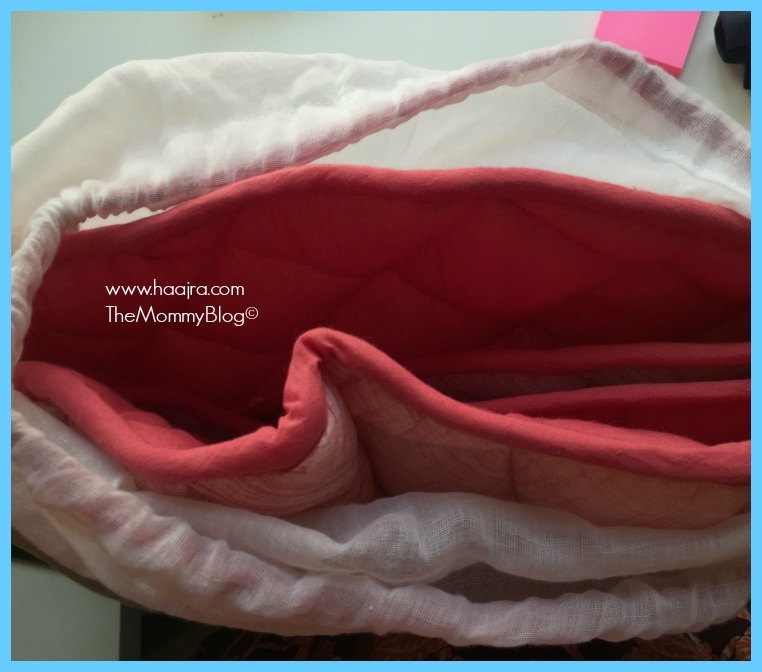 The tumble mat was very neatly folded and snuggly packaged inside a muslin cloth pouch with drawstring, which again was beautifully wrapped with a nice tissue paper. The tumble mat is available in three different colours Indigo, Slate Grey, Rose (Coral pink). We have the Rose one. It’s a beautiful pink colour. The mat itself is amazingly soft and cushy. 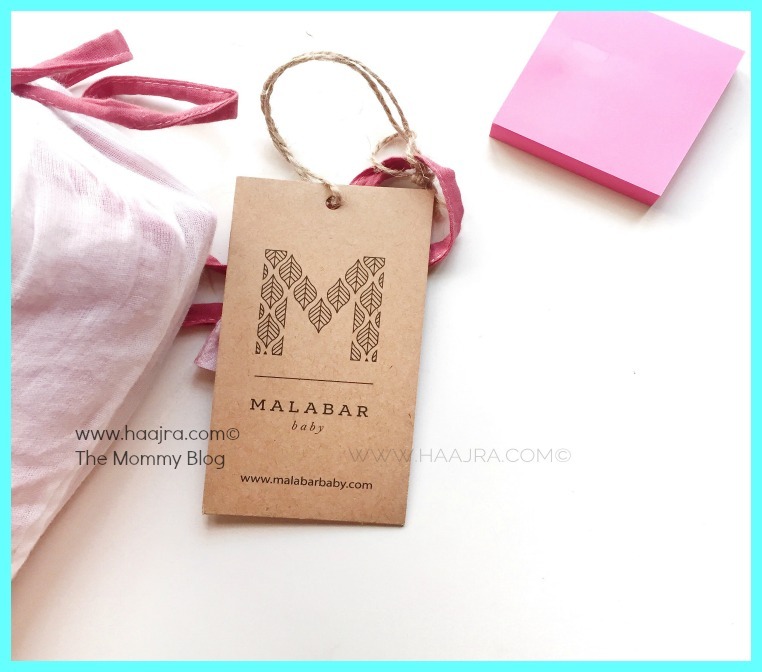 The brand, Malabar Baby claims that the mat is made of natural cotton with water resistant middle layers. Just like any play mat, spread it flat on the ground and lay your baby on it, either on his back or on his tummy. 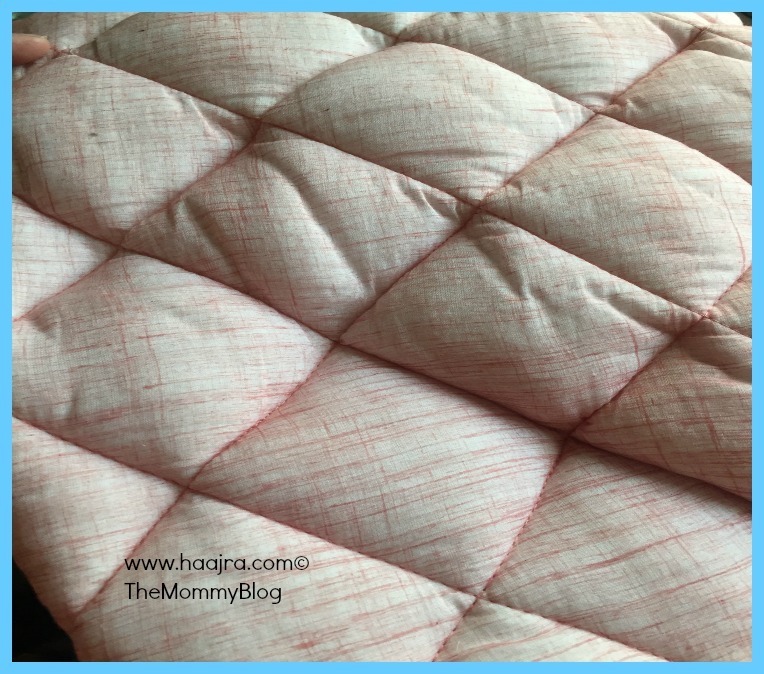 I usually spread a muslin or cotton swaddle blanket folded in half under the baby’s head to avoid any spit-up accidents getting on the mat. Our baby is four months old now and we have been using this tumble mat for over one and a half month continuously every single morning and evening. Of course except for when it’s in the wash.
My baby loves relaxing and has started enjoying his tummy time a lot more than earlier. I love who comfortable it is to carry around, we can take this to every place we go, to the park, to the beach. I love the packaging of the tumble mat. 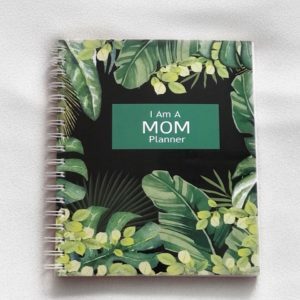 It’s so unique and eco-friendly. The mat comes in various colours to suit your style. 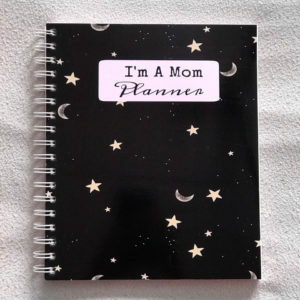 I totally love ours – the Rose one. The tumble mat is very soft and versatile. It’s perfect for tummy and play time. The glam quotient, the mat adds so much life to our living area. I love spreading it out every single morning and evening. There’s probably nothing that I don’t like about this tumble mat. At least I can’t think of anything that I dislike. However, if the mat had 2-3 cute stuffed animals hanging from above or may be sewn on to it, it would have been wonderful. Will I recommend the Malabar Baby Tumble Mat to others? Yes definitely. 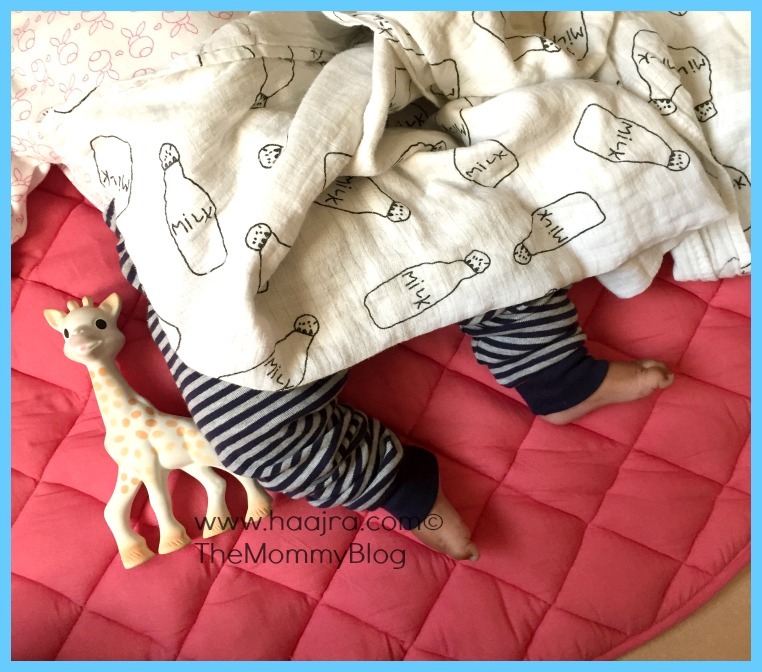 This lovely mat is definitely in my baby must-haves list. It’s a bit pricy but you are going to get so much wear out of it that it makes every penny worth it. Plus if you can always save it up for your future children in case your baby outgrows it.